Good News to all business owners in and around the country. Now you can Sponsored/advertise your products and services at affordable prices. 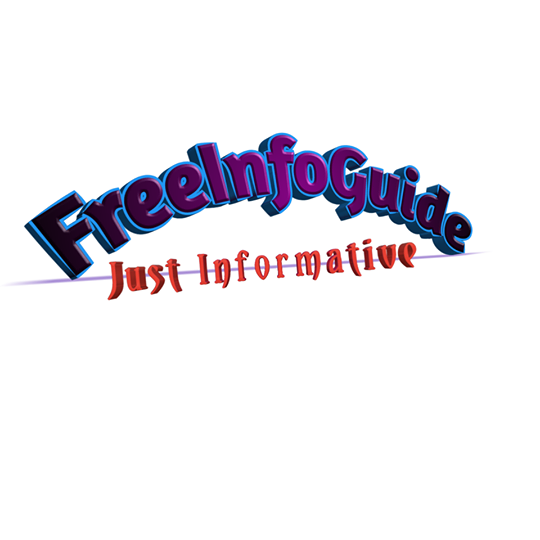 It is the joy of every business owners, be it online or offline to see his or her business go viral through affordable sponsored post and today InfoguideNigeria has made it possible. 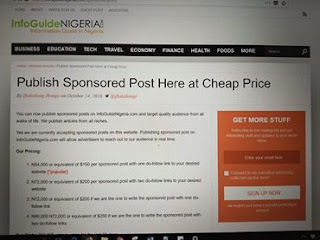 Earlier this week the CEO of InfoguideNigeria HONORABLE IFIOKOBONG announced the new price for the SPONSORED POST on their website and made it affordable. Sponsored posts are articles that a blogger or website owner is paid to publish on their own sites by companies, businesses, and brands related to that site’s niche or topic. Sponsored posts can be written by either the site owner/blogger or by the sponsoring brand itself. Before we check the new price for the sponsored post, let me quickly highlight on the key importance of sponsored post.. SPONSORED POST Raise awareness for your brand, product or service. This is especially important in competitive markets, or when you’re a new or UP-AND-COMING. Established businesses find value In sponsoring a post when launching a new offering or reinvigorating an existing product or service.